Open Educational Resources (OER) are any type of educational material that are freely available for teachers and students to use, adapt, share, and reuse. Open Educational Resources (OER) are any type of educational material freely available for teachers and students to use, adapt, share, and reuse. Examples of OER include learning content (such as lesson plans, assignments, textbooks, exams, and videos) as well as tools for learning (like software for creating videos and websites, course management systems, word processing programs, and training materials). 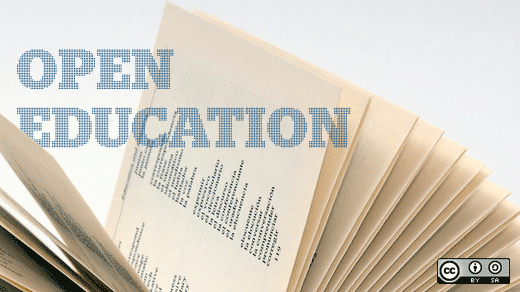 On this page, you will find some reasons to use OER in your classroom. On the tabs across the top of this guide, you can find resources for finding, creating, and researching the effects of OER. OER include not just textbooks, but also lesson plans, assignments, exams, and in-class activities. OER are created by instructors from all around the world and shared with others teaching similar topics. Instead of creating course content all on their own, instructors can take advantage of high-quality course materials already made by others. Instructors can then spend more time on their personalized lectures, feedback, and one-on-one assistance for students. Students often choose to borrow textbooks from the library or rent them from the bookstore in lieu of purchasing the textbook. For those that do purchase textbooks, many attempt to regain their money by selling the books back to the bookstore or online after the course is over. OER are free and available. Students can take their materials with them after class ends, which means that they will always have access to learning materials for future use. Textbooks and educational materials are often covered by stringent copyright restrictions, which does not allow reuse in other contexts or modifications or derivations. With OER, students and instructors can re-use and re-purpose the materials not just during the class, but in the future as well. OER are free and available online, which means that anyone can access and use them. When an instructor makes their teaching material openly available, they can teach far beyond their own classroom. Students can also access these materials, whether they are supplementing a course they are already taking or starting out on an educational journey. By creating and adopting OER, students and teachers can connect around the world, opening up networks of learning and enhancing collaboration opportunities. Read a story here about a yak herder in Tibet learning poetry from a Stanford professor. One of the hallmarks of OER is their reusability. OER are generally offered with Creative Commons licenses that allow the content to be freely reused and remixed with attribution to the original author. This means that you can take a great resource and tweak it to fit your class's needs. OER are being adopted by faculty at universities around the country. Even just a few faculty using OER rather than costly textbooks and course materials can have an incredible impact on the student experience. The infographic below shows some figures from one project in British Columbia. Still have reservations about OER? There are a lot of myths about OER. This guide by Lauren B. Collister is adapted from the excellent resources at Portland Community College,Virginia Tech, and UMass Amherst Libraries. This content in this guide is licensed under a Creative Commons Attribution 4.0 License.